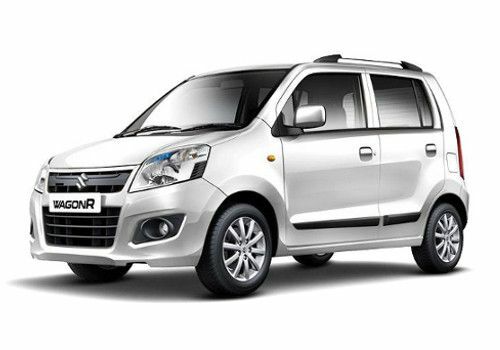 Maruti is a trusted brand in India and the company produces different models keeping in mind the needs demands and the budget of the buyers. Listed below are a few models along with their features and price. 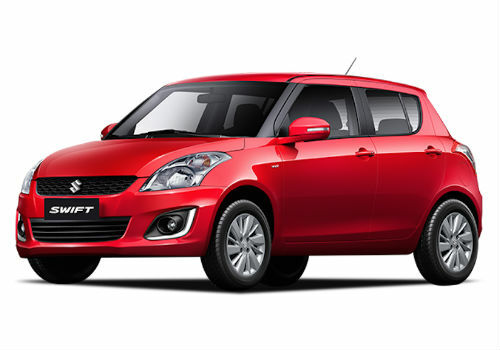 Maruti Suzuki Swift was first launched in 2005 and the ex-showroom price of the new Swift in Delhi starts from Rs 5.07 Lakhs. This car is available in total 6 variants (three for petrol and three for diesel). There are the petrol and diesel engine as well. The 1.2K petrol engine has a displacement capacity of 1197 cc. The maximum power produced is 85.8 bhp along with a torque of 114 Nm. The diesel motor of 1.3 litres produces 74 bhp along with 190 Nm. The mileage of the petrol engine in the city is 15 to 16 kmpl and in highways, it goes up to 18 to 19 kmpl. In diesel engine autos the mileage in the city is 18 to 19 kmpl and in highways 22 to 23 kmpl. It is a 5 seated auto with a well-equipped infotainment system. The safety and braking options are dual SRS front airbag, anti-theft system, automatic lock system, child lock etc. The Maruti Suzuki Swift Dzire is a demanding car in India today. The exterior looks classy and tough whereas the interiors look comfortable and have ample of space. It looks like it has a room for everybody. The interior is also well developed technologically wise and is also very comfortable and spacious. The colours available are Cave Black, ALP Blue, Silky Silver, Sangria Red, Magma Grey. The ex-showroom price in Delhi ranges between Rs 5.27 Lakh to 8.58 Lakh. The body type of this car is notchback and the number of seats in the car is 5. engine type for petrol is K series petrol engine with VVT and DDIS for the diesel engine, The displacement for petrol is 1197cc and for petrol is 1248cc. and the number of cylinders both for petrol and diesel is 4. Number of valves both for petrol and diesel is 16. The compression ratio for petrol is 11.0:1 and for diesel is 17.6:1, the maximum power that can be exerted for petrol is 3@6000 and for diesel is 75@4000, maximum torque for petrol is 115@4000 and for diesel is 190@2000. The Maruti Suzuki Vitara Brezza was launched in India at the Auto Expo 2016. The Vitara Brezza is the first sub-4 metre SUV in India with 6 different trims. The interiors are equally comforting and provide ample of space. It is technologically updated like instrument cluster, the touchscreen infotainment unit with Apple Car Play connectivity, automatic climate control, push button start, reverse camera, cruise control, auto head lights, adjustable driver’s seat height wise, rain sensing wipers, electrically foldable ORVM’s etc. The engine type is diesel with 1.3 litre four cylinder DDiS 200 which produces 89bhp of power at 4000 rpm with 200Nm torque at 175rpm. The mileage offered by this SUV is 24.3 km/l. 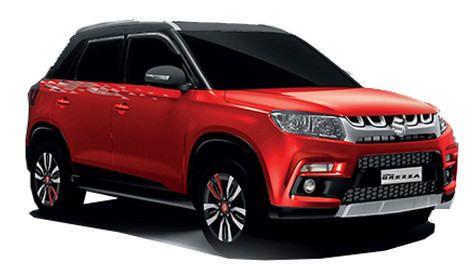 The ex-showroom price in Delhi for Vitara Brezza starts from Rs 6.99 lakh onwards to Rs 9.68 lakh. The engine of the Wagon R is a well functioning car. The K10B series engine is 1.4 litres produces maximum power of 67.1 bhp at 6200 rpm along with the maximum torque of 90 Nm at 3200 rpm. Used Wagon R also a good option for those who trust Maruti Suzuki. The Wagon R is available only with the petrol engine and the following are the list of petrol variants.